For those who want to put into action a long-held dream of buying French property, many economic conditions are favourable: low interest rates, reasonable prices and, if you leave aside the pedantic ravings of the American-dominated ratings agencies, reasonably positive economic indicators in France. But the thorny question of whether or not prices are going to drop is a more difficult kettle of fish. It’s a far healthier situation overall than that which exists in the moribund Irish property market: although there have been small decreases in price in some French towns, the property market in the capital has gone in an entirely opposite direction. After a small adjustment in the first year of the global recession, property in the City of Light has been increasing in value at rates that would have looked normal during the height of the Great Irish Property Bubble. In the past year alone, prices for new and second-hand apartments and houses has increased by almost 20%. About ten years ago, a friend of mine had just bought an apartment in Paris in a decent area in the south-west of the city near Convention metro station. It was 45m2 in size. At the same time, friends I knew based in Dublin had just bought a flat (sorry – an apartment!) in central Dublin in a very decent area very close to the Brazen Head pub across the Liffey from the Four Courts. It was also 45m2 and both properties cost more-or-less the same price at €265,000. No matter how fond of Dublin you might be, that just didn’t add up. How could the same product in a small capital on the periphery of Europe cost the same as that in one of the great capitals of the world? New World Economic Order? Moreover, while the price of the Dublin flat was gaining value at a galloping pace over the next five years, the Parisian apartment’s value dipped a little before gaining very modest increases. Money has a habit of swishing around the world, like boats looking for the crevices of safety from the storm. 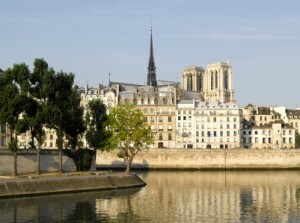 Much of it has settled in areas such as gold and Swiss francs, but there is no doubt that there has been a targetting of the Parisian property market too. My instincts from ten years ago were on the money as it turned out and the markets have adjusted accordingly, but now, for the first time in quite some time, the Paris-based solicitors (the ones who traditionally monitor property prices) are predicting a small dip in property values for new and second-hand dwellings. The Parisian market it calming, they say, with a small but significant turn in the tide. This is a good thing, the notaires de Paris tell us. 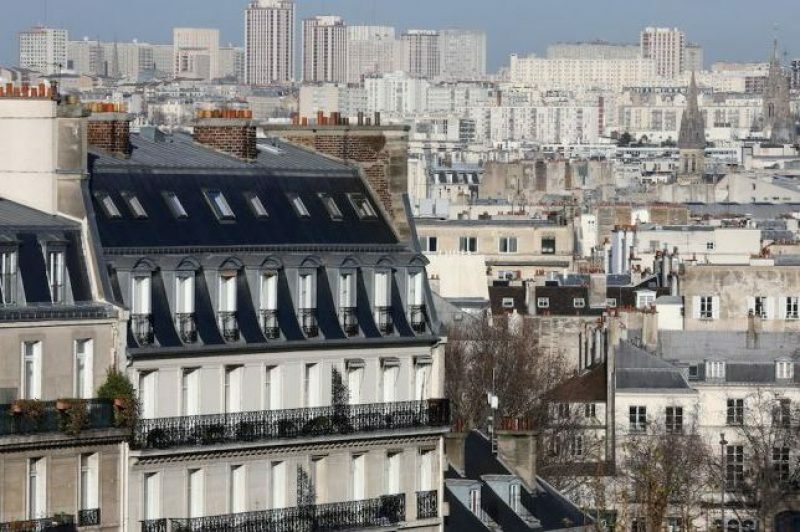 Buyers in the capital were increasingly unable to follow the upward trend where the average price per square metre for second-hand property had reached €8,150 (which, incidentally, puts my friends cute flat near Convention at about €530,000) by June of this year. And the calming of the markets isn’t going to be limited to Paris and the property market nationwide is in for a cooling-off period over the coming year. They reason that many are pointing too is the sudden change in taxation laws that will, according to all the experts in the French market, force many home-owners to put their properties on the market, thereby causing an over-supply in a market where production of new homes has been steadily increasing. As things stand, the sale of secondary homes in France is effectively exempt from added-value taxes after 15 years. From February 1st next year, however, one will need to wait 30 years in order to await ones tax exemption. In order to continue to reap the rewards of the older tax regime as a vendor, therefore, you will have to have signed a contract or a promesse de vente (literally a ‘promise to sell’ and a legally binding contract that can be signed immediately the deal is agreed) before the end of next month. “This transient fiscal respite should have the effect of increasing the volume of sales in the first instance. Then, a reflux is possible. There is a window of opportunity for the vendors and purchasers, who can still benefit from low interest rates that are fairly easily accessible,” notes M Lefebvre. Next Next post: Sarkozy’s Child – Don’t Rock the Cradle!